A skin tear is a traumatic wound caused by shear, friction, or blunt-force trauma that results in a partial- or full-thickness injury. Skin tears are painful because the precipitating injury commonly involves the dermis, which is rich with nerve endings. 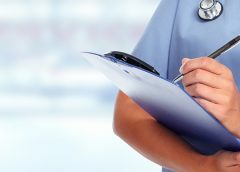 Skin tears that lead to complications can exact a toll not just on patients but also on healthcare facilities, whose reputations may suffer if the public believes staff are delivering a poor quality of care. A reported 1.5 million skin tears occur in institutionalized adults each year. And that doesn’t include tears that occur at home. The problem isn’t going away any time soon. So what makes skin tears such a frequent occurrence? Who’s at greatest risk? How can we better prevent and treat them? With age, our skin undergoes specific, well-documented changes. The epidermis and dermis are joined together by a wavelike basement membrane that prevents sliding. In aging skin, this junction flattens, allowing the skin to slip back and forth. This decreases the surface area between the layers, in turn reducing nutrient transfer and resistance to shearing forces. Aging also slows epidermal turnover, wound repair, and collagen deposition; impairs vascularity; and causes thinning of the dermal and subcutaneous layers. These changes work in tandem to make the skin much more susceptible to the shearing and friction forces that result in skin tears. • blunt-force trauma, as from a patient fall or wheelchair injury. In some cases, the cause of a skin tear can’t be identified—for example, in patients with cognitive impairment who can’t communicate what happened to cause the injury. Patients who depend on caregiver assistance for activities of daily living are at risk for skin tears. Assistance with bathing, dressing, positioning, and transferring involves significant caregiver handling. Research from across many settings shows that roughly 70% to 80% of skin tears occur on the hands and arms, and most happen during peak activity hours (from 6 to 11 AM and from 3 to 9 PM). Very young patients with immature skin also are at risk. The dermis doesn’t develop fully until after birth; even at full-term, it has reached only 60% of its adult thickness. In neonates, skin tears commonly are linked to device trauma or adhesive use. In many cases, they occur on the head, face, and extremities. The Payne-Martin Classification system provides a common language for assessing and classifying skin tears, promoting better communication among clinicians and helping to guide treatment. Developed in 1990 and updated in 1993, it has three primary classifications based on degree of severity. Besides helping clinicians differentiate full-thickness from partialthickness tears, it addresses the skin flap (if present). For images of skin tears classified by the Payne-Martin system, click here. Preventing skin tears requires a multifaceted approach, described below. 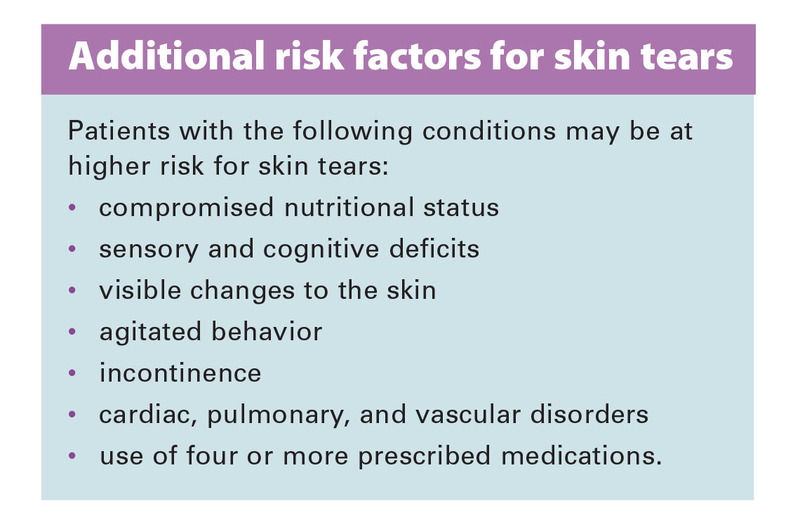 Although not all skin tears are preventable, take all necessary steps to minimize risk. Remember— skin tears are a negative patient outcome. If your healthcare facility has a high skin-tear incidence, some people may suspect the facility is not doing everything it can to decrease tears or that its caregivers are too rough when providing direct patient care. To minimize skin tears, start by providing a safe environment. Remove scatter rugs and unclutter walkways. Pad bedrails, wheelchairs, and sharp furniture corners. 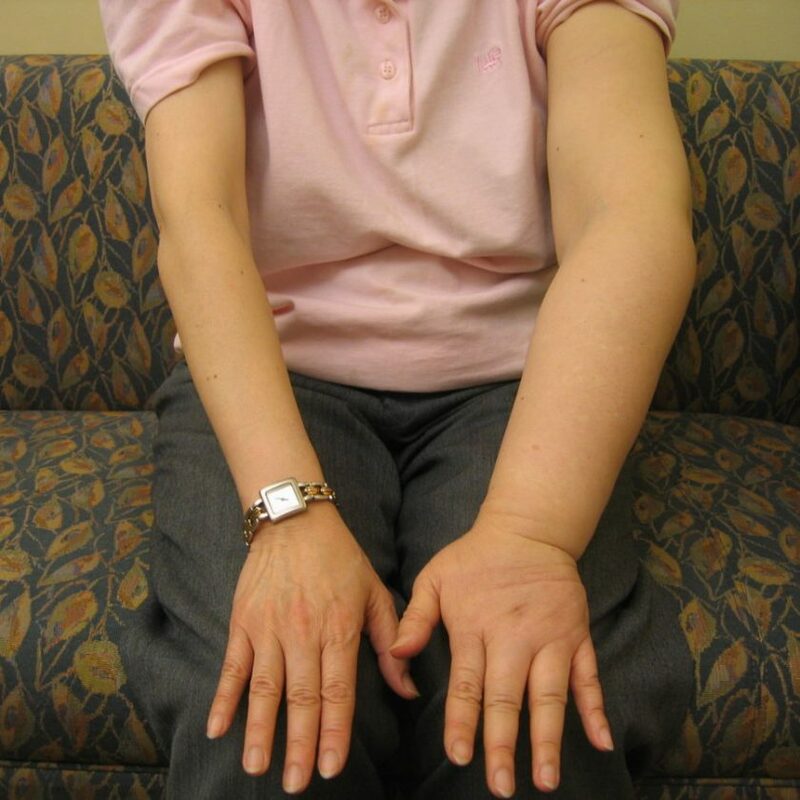 Provide support for the patient’s dependent limbs and ensure adequate lighting. Keep room temperature on the cool side, as heat tends to dry the skin. Elderly patients commonly are sensitive to cold, so this isn’t always realistic—but you can add moisture to the air by using a humidifier. Too-frequent bathing dries the skin, making it more vulnerable to tearing. The following recommendations help minimize tears. • Advise patients to take shorter showers with warm to tepid (not hot) water to help the skin resist tearing. • Use pH-balanced cleaning products that contain emollients and don’t require rinsing. Know that although a bar of soap is inexpensive and removes soil, it also alters the skin’s physical and chemical make-up and makes it more vulnerable to tears. • Pat the patient’s skin dry instead of rubbing it. • Moisturize the patient’s skin after bathing while it’s still damp. This traps moisture and keeps skin hydrated. The skin’s top layer, the stratum corneum, requires at least 10% moisture to maintain its integrity. • Encourage proper fluid intake to help patients stay hydrated. Learn about the proper way to touch patients to decrease skin trauma risk. Using a practiced, deliberate, gentle touch makes all the difference. Also, use low-friction repositioning sheets and equipment to decrease skin trauma caused by repositioning. Avoid wearing jewelry, because it can cause skin trauma, and keep your fingernails short. Patient clothing plays a role in preventing skin tears. Dress at-risk patients in long sleeves, long pants, and knee-high socks to protect the skin below these garments. You can use athletic shin guards as protective devices on patients who are willing to wear them. Specialized products, such as the DermaSaver™ Arm Tube, Dermatuff® Protection Socks and Leg Protectors, and Posey® SkinSleeves™ Protectors, also help safeguard the skin. If the budget is tight, you can use tube socks to protect the patient’s arms; just cut off the toe section and slip the socks on over your patient’s hands. Despite all of our efforts, skin tears do occur. How we treat them can make a big difference in our patient’s pain level, how quickly tears resolve, and whether complications arise. Although we lack gold-standard or clinical practice guidelines to identify the ideal treatment regimen, many approaches can work well. Choose the one that best fits your individual patient. Also, if possible, try to determine the cause of the skin tear and remove it to help prevent recurrence. A specially formulated liquid topical bandage, skin glue creates a clear film that dries in 15 to 30 seconds. It doesn’t require secondary dressings and allows for routine inspection. Examples of skin glues include Dermabond®, Surgiseal®, and Octylseal™. The best standard dressing for a skin tear depends on the type of tear, amount of exudate, skin fragility, and other patient factors. 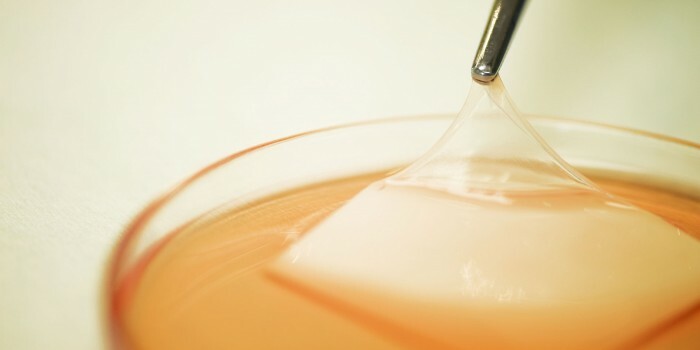 In general, hydrocolloids or traditional transparent film dressings aren’t recommended, as they may cause skin stripping and injure the healing tear if not removed properly. 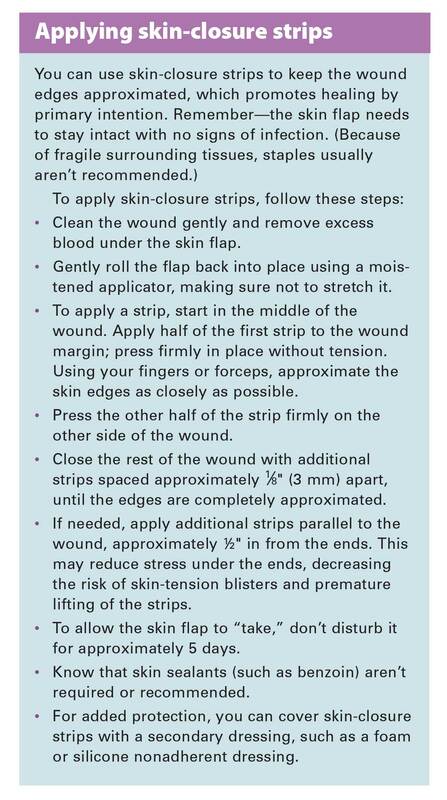 To manage a skin-tear dressing, mark the outer dressing with an arrow to indicate the preferred direction of removal; document this to help prevent disturbing the healing wound. Ideally, this step should be included in your facility’s policy and procedures to help ensure it’s done every time. • Calcium alginates may help control bleeding and exudate. • Soft silicone or silicone-impregnated dressings promote flap security and aid nontraumatic removal. • Foam or hydrofiber dressings aid exudate management. • Hydrogel dressings promote pain relief and a moist wound bed. • Petroleum-based protective ointments and gauze also may be used. • Antimicrobial dressings aid infection control. • If the wound is infected or contaminated, observe it daily. • Avoid tape whenever possible, because it may tear the skin on removal. To prevent this, use an adhesive remover. • Alternative ways to secure the dressing include gauze netting, stockinette, cohesive bandages, TubiFast™ bandages, and other specialty products, such as TAPEless™ dressings. Be sure to follow the manufacturer’s instructions for proper application to protect patients from harm stemming from circulatory compromise. We need more research on skin tears to improve management. Education is the key to preventing skin tears. All caregivers should be well versed in prevention and management strategies and should teach patients about them. Ayello EA, Sibbald RG. Preventing pressure ulcers and skin tears. In: Boltz M, Capezuti E, Fulmer T, et al, eds. Evidence-Based Geriatric Nursing Protocols for Best Practice. 4th ed. New York: Springer; 2012; 298-323. LeBlanc K, Baranoski S; Skin Tear Consensus Panel Members. Skin tears: state of the science: Consensus statements for the prevention, prediction, assessment and treatment of skin tears. Adv Skin Wound Care. 2011;24(9):2-15. LeBlanc K, Christensen D, Orsted HL, et al. Best practice recommendations for the prevention and treatment of skin tears. Wound Care Canada. 2008; 6(1):14-30. Pennsylvania Patient Safety Authority. Patient Safety Advisory. Skin Tears: The Clinical Challenge. 2006. White MW, Karam S, Cowell B. Skin tears in frail elders: a practical approach to prevention. Geriatr Nurs. 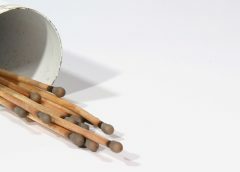 1994;15(2):95-9.